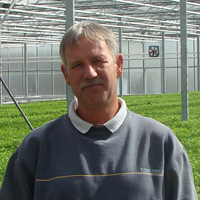 Joris Volckaert’s nursery in Nazareth (Belgium) has 0.5 hectares of heated glasshouses. 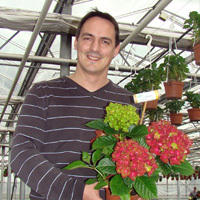 Joris grows a variety of houseplant species including Kalanchoë, Muehlenbeckia, Vinca Rosea (Madagascar periwinkle), Chrysanthemum and Poinsettia. 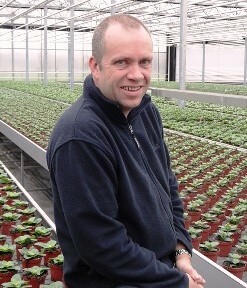 Throughout 2012, Joris used OrnaProtect to control aphids in his most important crops (Kalanchoë and Muehlenbeckia). Several species of aphid occurred in these crops in the course of the year, but OrnaProtect kept all of them under control. The main advantage of OrnaProtect, according to Joris, is that his insecticide use has been greatly reduced in comparison with previous years. Any spraying carried out was localised. He sums up his experience as follows: “I am really pleased with the spectacular effectiveness and convenience of the product, although it does require thorough scouting and a change in mentality on the part of the grower”. He adds that OrnaProtect will be his primary method of aphid control in the future. hortensia, out of this 80% as raw material. 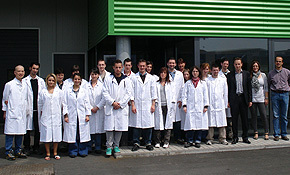 The 30 coworkers of the company care about more than 40 different varieties, which grow up on 17 hectares. 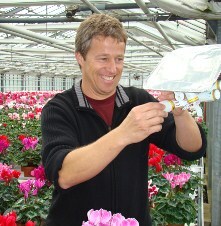 Managing director Andreas Pellens used OrnaProtect in the greenhouse from January to October 2011. During the cooler season the green-spotted potato aphid (Aulacorthum solani) was observed. This aphid species has been controled by OrnaProtect, as were all other different aphid species appearing later in the season. 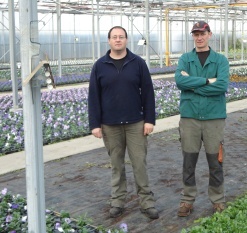 The nursery of ornamental plants Wolfgang Ripkens in Straelen, Germany, produces, among other plants, on several thousand square meters Cyclamen. 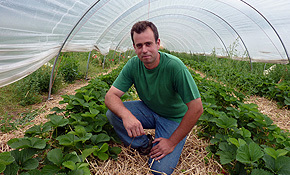 Since more than a decade, Mr Ripkens uses beneficial insects for plant protection under integrated pest management. 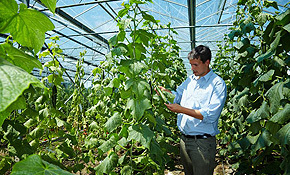 This approach has been convincing, because it does not result in the development of resistance as it is observed by using chemical pesticides, and because it strongly decreases the handling of chemicals by the workers. 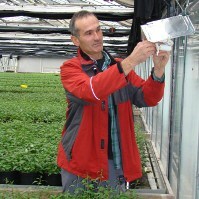 Managing director Wolfgang Ripkens used OrnaProtect in the greenhouse from end of March until mid-October 2011. 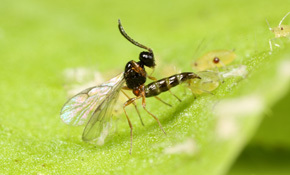 During the crop season, some individuals of the green-spotted potato aphid (Aulacorthum solani) were observed sporadically. This aphid species has the characteristic to overwinter in form of eggs. However, it has been controlled by OrnaProtect, as were all other different aphid species trying to establish in the crop. Retrospectively on the year Mr. Ripkens says: „The application of OrnaProtect is simple and fast, I save about 60% of labor time. Throughout the season, all appearing aphids were perfectly controlled.